Adorned in a leopard print with an expressive edge, the S'well 17oz Azure leopard water bottle is part of the label's new Exotics Collection. Expertly crafted from double walled stainless steel, this bottle will keep your cold drinks cold for twenty four hours or your hot drinks hot for twelve hours. 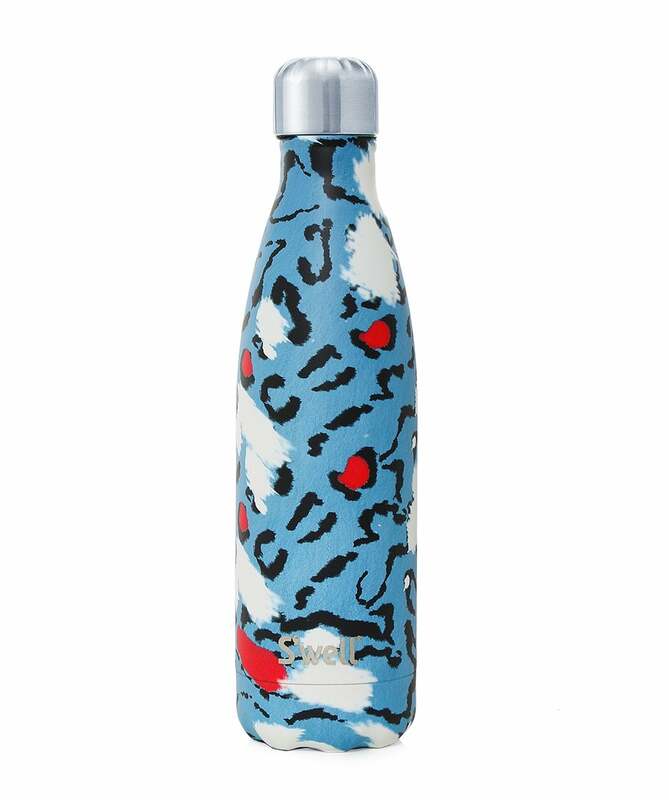 Completed with a screw top and vacuum seal, this S'well bottle ensures you stay stylish and hydrated.